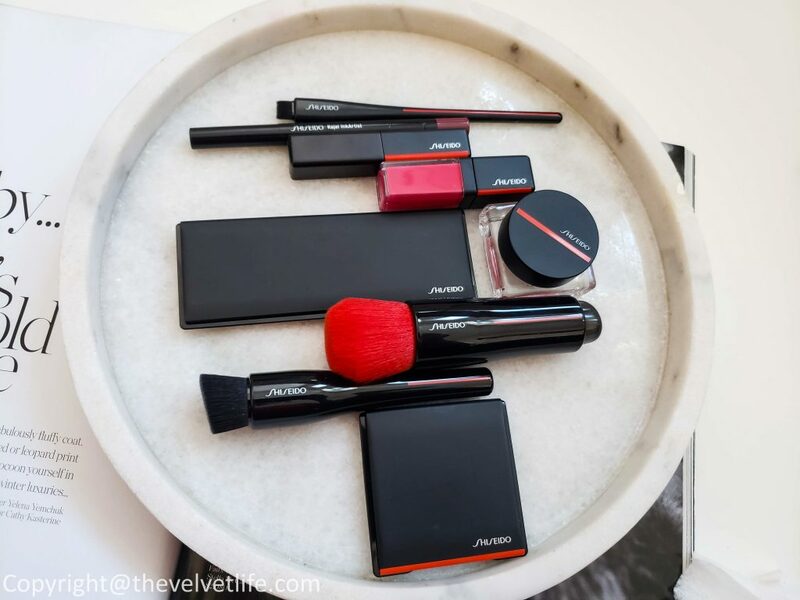 Shiseido has launched new makeup collection which has been both appealing to the eyes as well as to the skin with lightweight skincare-like texture, lasting finish, and impactful colors. 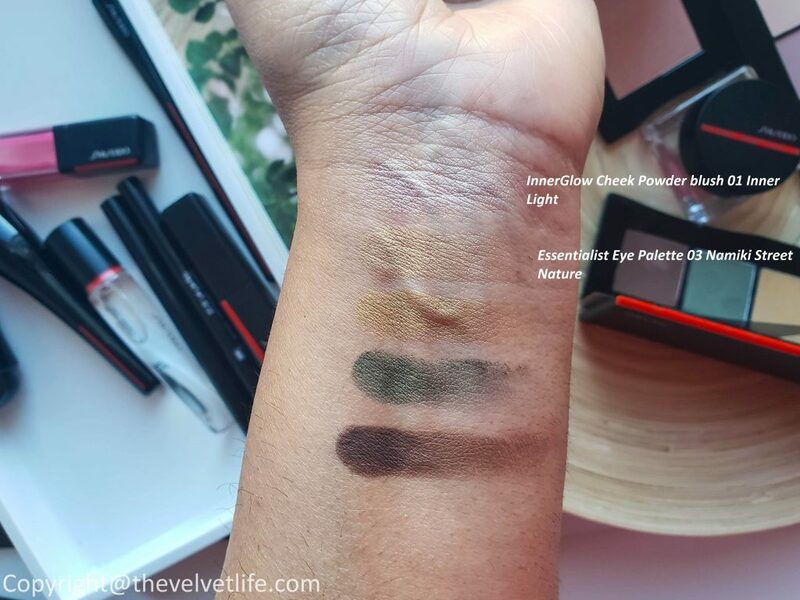 The products are classified in four reimagined textures – gels, dews, Inks, and powders instead of the traditional categories of face parts such as eyes and lips. The collection theme is ‘Visible Feels Invisible’ and the packaging is themed on ‘Modern Japanese’ with slim componentry and a lacquered red line. I have used these products many times and I am really loving the textures, shades, ease of use, and performance of them. Let me start with the cheek products first. I have InnerGlow Cheek Powder and Minimalist Whipped Powder Blush. I have been literally obsessed with these two, they are so amazing, look so natural and the texture is amazing. I have been using this to work every single day since last two weeks. 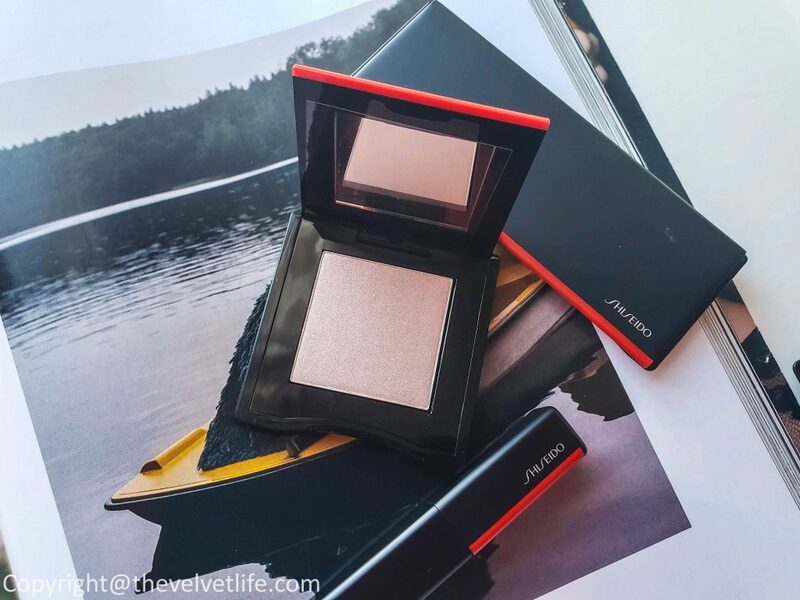 InnerGlow Cheek Powder blush and highlighter hybrid seamlessly enhances, highlights, and contours with an airy, weightless finish. 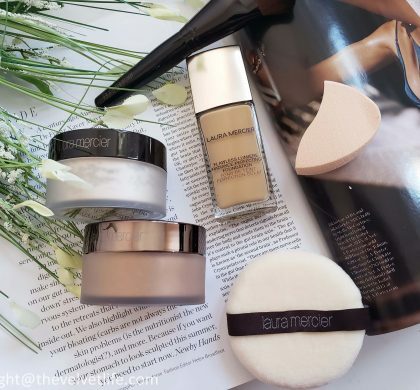 The formula is very lightweight and airy, blends in beautifully, gives a lit-from-within glow and stays put for over 8 hours which is impressive. The finish looks so natural and radiant. The shade 01 Inner Light is a shimmering Champagne shade which works perfectly as a highlighter for me. I do not see any shimmer on my skin but just natural glow. Moving on to the lip products, I have LacquerInk LipShine, VisionAiry Gel Lipstick, and Crystal GelGloss. 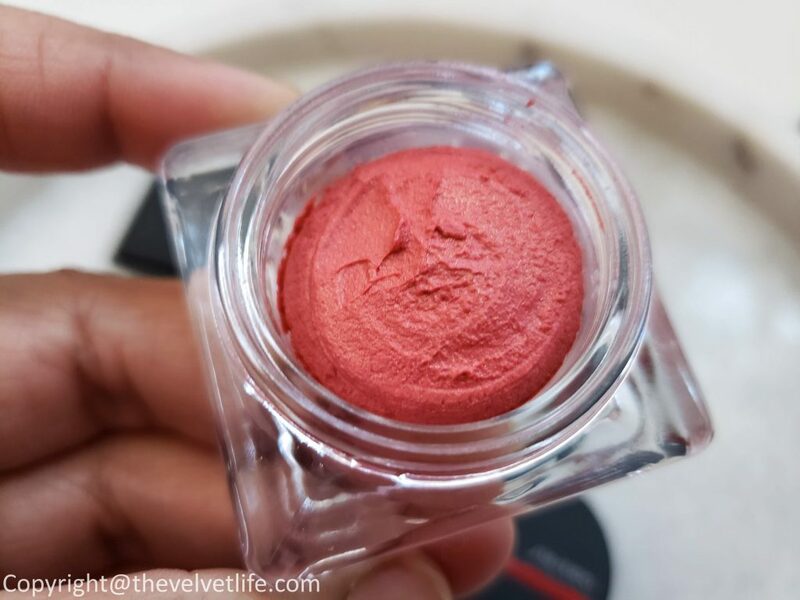 LacquerInk LipShine high-intensity pigmented blend of oils which offers the shine and comfort of a gloss, while smoothing polymers provide the durable, hydrating color of a lipstick. It is a full-coverage fluid that deposits inky color with a vivid, vinyl finish. The concave applicator hugs the contours of the mouth and dispenses the perfect amount of pigment that can be worn alone or layered over other lip products for extra dimension and sheen. The formula does not leave the lips dry or sticky, it is comfortable to wear. The shade 302 Plexi Pink is a natural pink shade. VisionAiry Gel Lipstick is a long-lasting, weightless, full-coverage lipstick that glides on the lips to deliver bold, high-impact color in a single stroke. The shade 210 – J-Pop is a spiced pink shade and perfect for everyday wear. It is very comfortable to wear and last for over 3-4 hours. 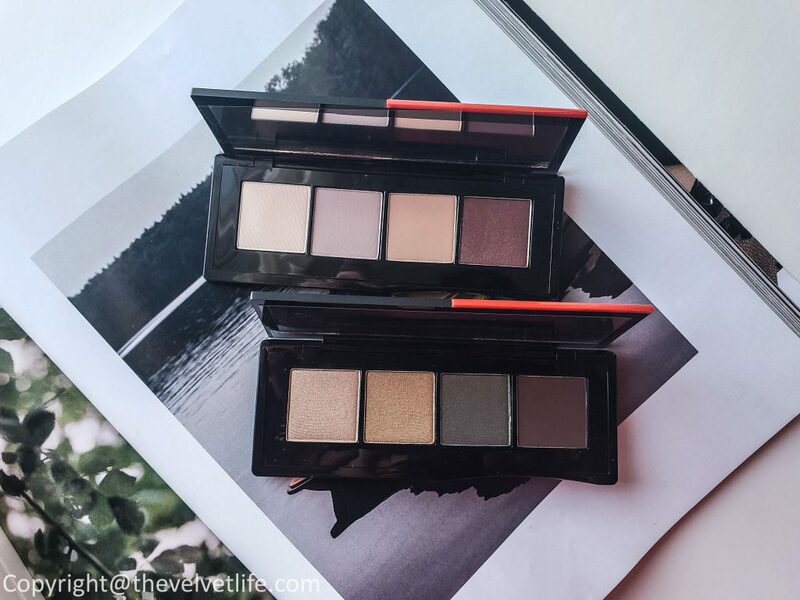 Essentialist Eye Palette has featherlight powder shadows which glide on smoothly and evenly, with a really good staying power. 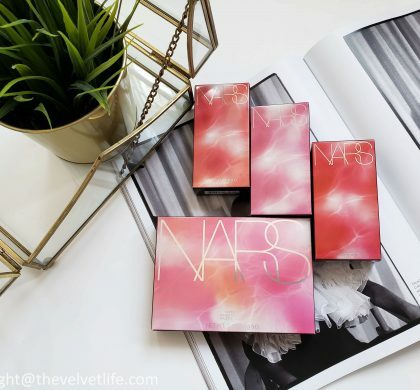 The four harmonizing colors—available in satin, matte, and shimmer finishes to create a multitude of looks—are enclosed in a super-sleek compact developed by the brand’s premiere packaging design architect. There are 8 shade combinations inspired by Tokyo’s iconic streets, I have 01 Miyuki Street Nudes and 03 Namiki Street Nature. Kajal InkArtist is an all-in-one liner, kajal, eyeshadow, and brow filler. 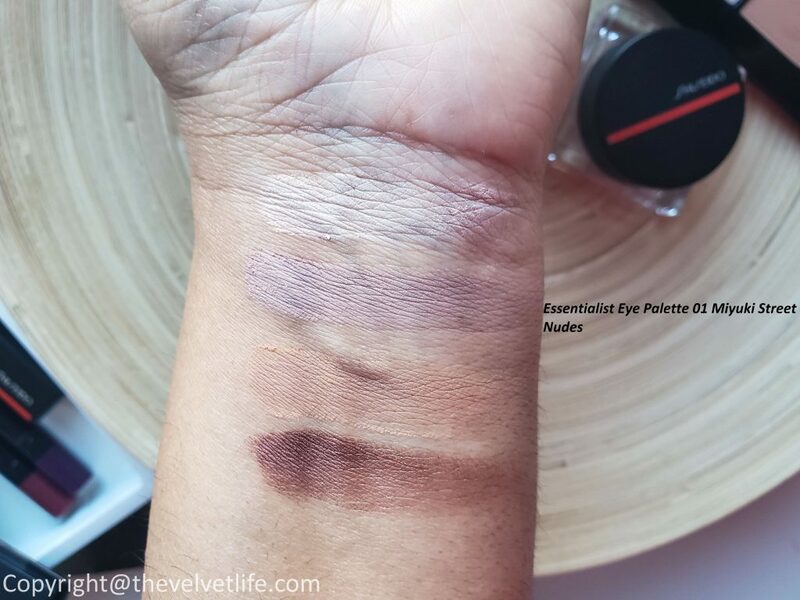 The formula is lightweight and nicely pigmented. The soft tip provides a thin, smooth band along the waterline that is just wide enough to be easily swathed across the entire lid, while the detachable sharpener keeps the integrity of the tip intact up until the very last swipe. The sponge blender can be used to create a diffused finish, allowing to achieve precise application or course correct. 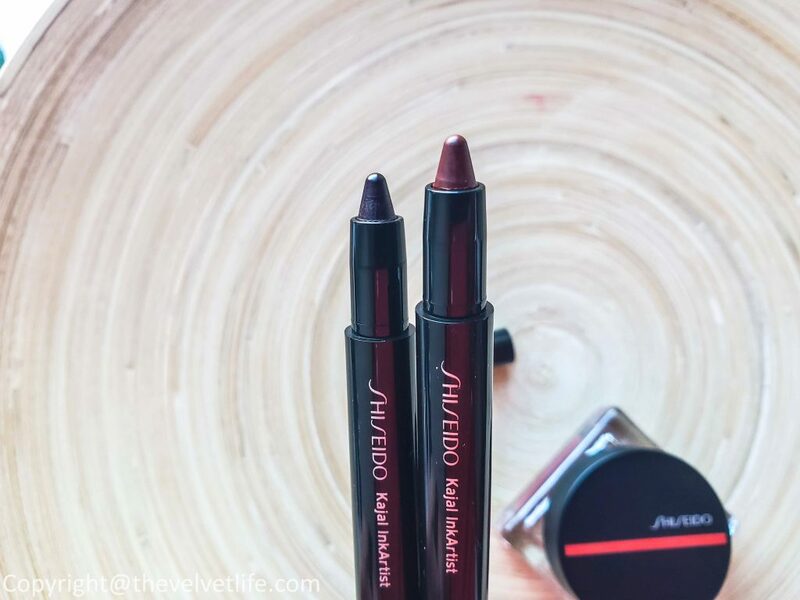 The finish is matte, comfortable to wear, very pigmented, and has a really impressive staying power. I have swatched shades 04 Azuki Red and 05 Plum Blossom. Coming on the to brushes, the next generation makeup brushes of Shiseido, made with 100% synthetic fibers and handcrafted in Japan, with ergonomic handles for precision and control. With the three brushes I have been using for a few weeks, I have not experienced any shedding of the bristles. 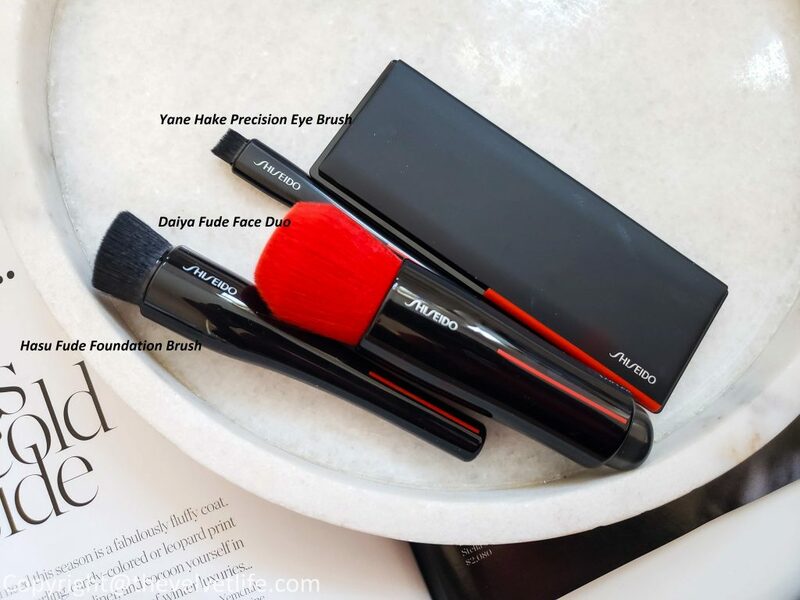 They work effortlessly and there is no streaking or caking of the products while using these brushes – Hasu Fude Foundation Brush, Daiya Fude Face Duo, and Yane Hake Precision Eye Brush. 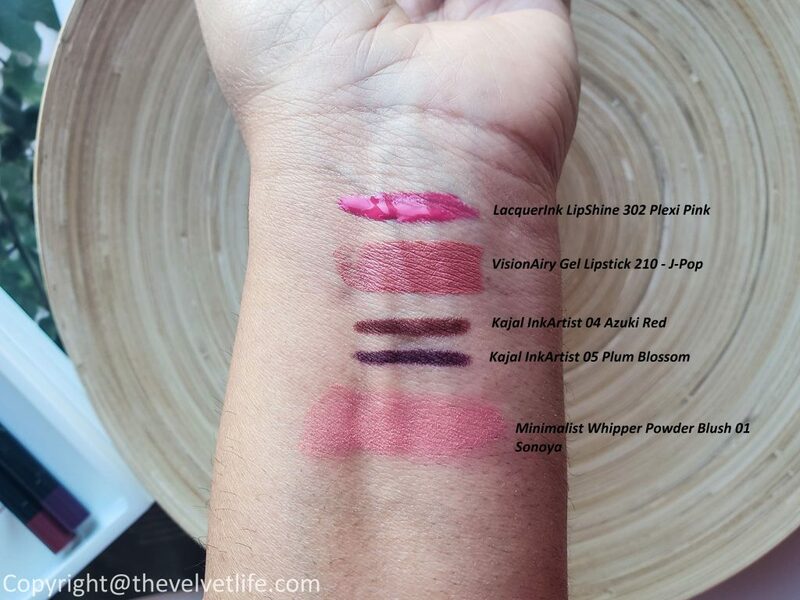 Along with the products I mentioned above, I reviewed the ModernMatte Powder Lipsticks here in the past which I still adore. 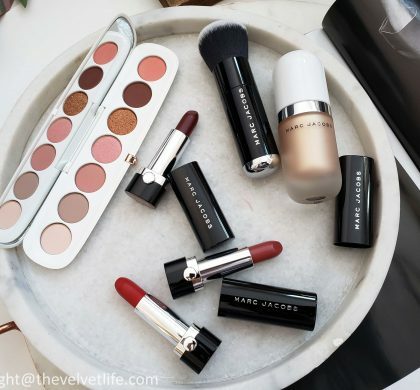 Overall, I am really loving the textures, colors, and the range of products. 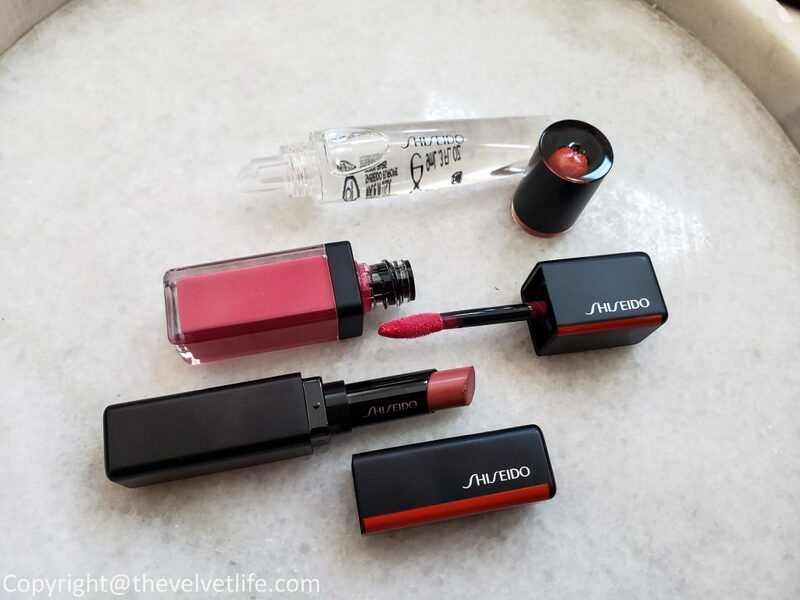 Shiseido definitely did a great job with this new makeup collection, I will keep the products in the rotation since I am really enjoying them in my everyday routine. 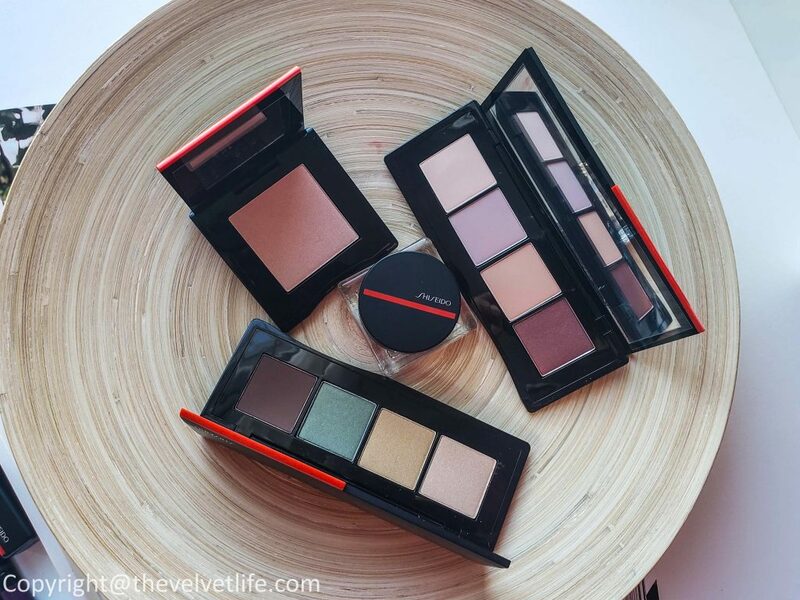 Shiseido Makeup Collection is available Sephora Canada, Hudson’s Bay, Murale, Beautyboutique by Shoppers Drug Mart.